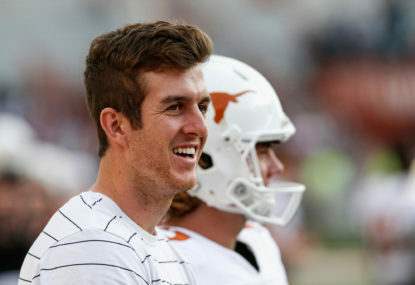 Australian rookie punter Michael Dickson has booted the Seattle Seahawks’ longest-tenured player off the NFL team. 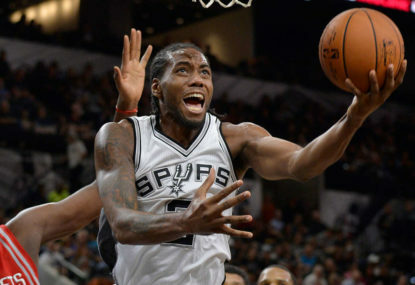 The NBA’s annual multi-billion dollar free agent market frenzy is about to erupt with Australians Aron Baynes and Dante Exum joining A-listers LeBron James, Kevin Durant, Paul George and Chris Paul seeking new contracts. 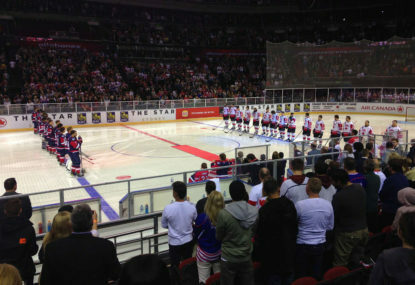 The long, difficult path Nathan Walker has skated from Sydney’s Sutherland Shire to Las Vegas for the National Hockey League’s Stanley Cup finals is one of Australia’s great sporting stories. 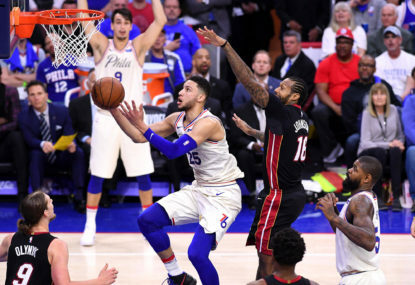 Ben Simmons and his high-flying Philadelphia 76ers have crashed back to earth with a 113-103 loss to the Miami Heat in game two of their NBA playoff series. 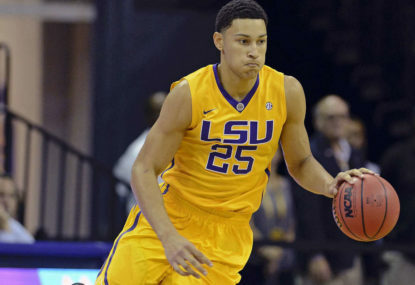 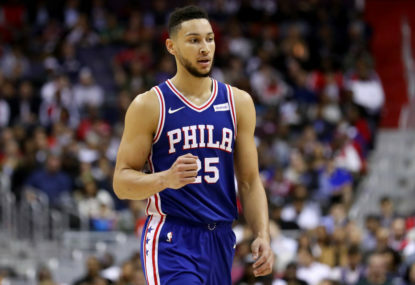 Ben Simmons has set himself one goal for the NBA’s Rising Stars game and it is not to use it as a stage to confirm his place as favourite for this year’s Rookie of the Year Award. 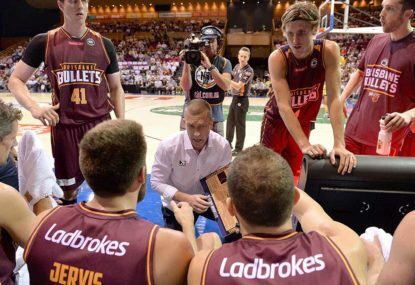 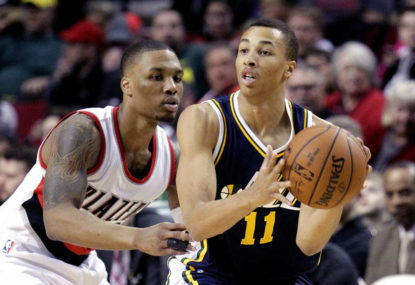 The Phoenix Suns have scorched the Brisbane Bullets in the final exhibition clash between NBL and NBA teams in the US. 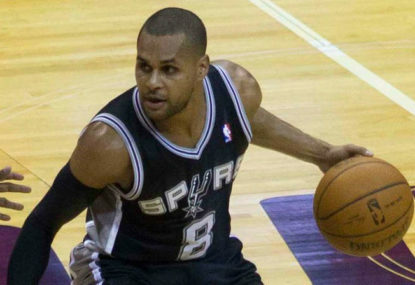 Patty Mills’ San Antonio Spurs have thrashed the Memphis Grizzlies in their NBA playoff opener, continuing a successful day for Australian players. 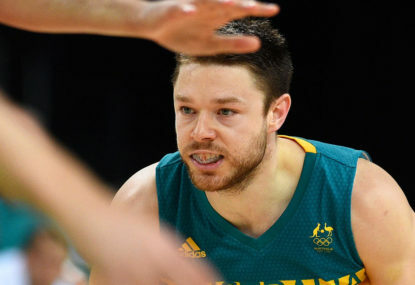 Australian rookie Thon Maker was an intimidating force and Matthew Dellavedova hit key shots in Milwaukee’s upset win over the Toronto Raptors in game one of their first-round NBA playoff series. 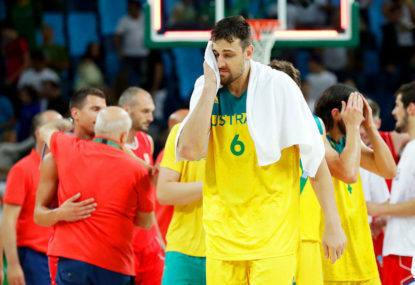 Andrew Bogut has had a horror start at the Cleveland Cavaliers with a leg injury after just 58 seconds on the court. 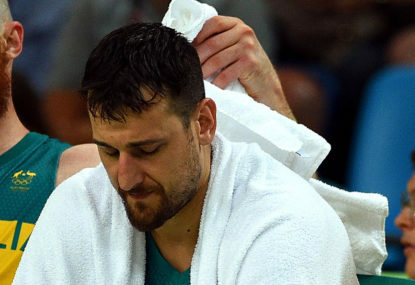 Andrew Bogut is set to hit the free agent market in search of a team that could win him another NBA championship, after reportedly being traded from the Dallas Mavericks to the Philadelphia 76ers. 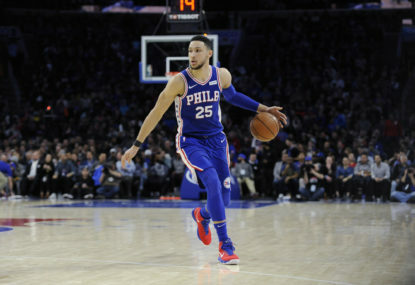 Ben Simmons has had a drama-filled debut game for the Philadelphia 76ers, showing glimpses of why he could be the NBA’s next great player before being carried off the court in pain. 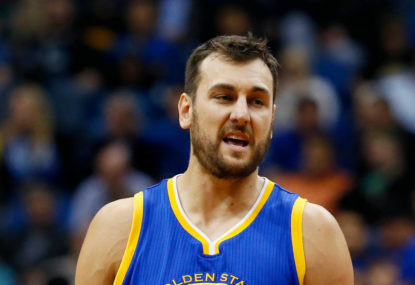 Andrew Bogut appears headed to the Dallas Mavericks. 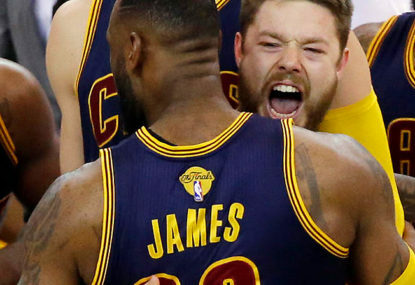 LeBron James and the city of Cleveland have heaped praise on Australian point guard Matthew Dellavedova.